We just gave my younger sister an Owl Themed Baby Shower. She is decorating her nursery with the Happi Tree Theme, and that’s what we used for her shower. It turned out so cute! This will be a series over the next couple weeks featuring all the decorations, diy ideas, and products used! First I found her invitations on Etsy. I am pretty computer savvy so I went with a You Print version, but this particular shop,BDesigns4You, offers a printed option too. We have a huge family and we planned on having 60-80 guest. We opted to rent the amenity center in my Home Owners Association. I highly recommend renting a hall or amenity center if you plan on having 50 or more guest. It makes it so much easier for parking and just party room in general. We had a Personalized Whimsey Owl Girl Baby Shower Guest List for guest to sign in and guess how many M&Ms were in the bottle. We used a bird cage my sister owned and decorated it with ribbon, decorative paper cut into a circle with an owl sticker, and pink paper crinkle shreds inside the cage. 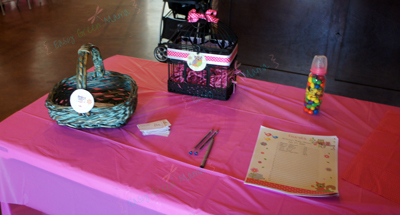 We had a cute basket to hold Door Prize tickets. I made the Door Prize Tickets myself. Here is a Free Door Prize Ticket Printable. Free For Personal Use Only. 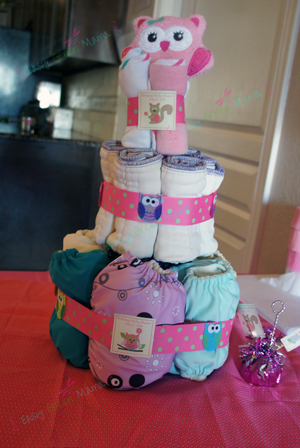 Also on the entry table we had one of the gifts from our parents and us siblings, the cloth diaper cake! I made this by rolling cloth diapers, putting rubber band around each roll, then a large rubber band around each section. I taped a ribbon above the rubber bands, added stickers, and topped it with a wash cloth Owl! I got the matching stickers from BDesigns4You. 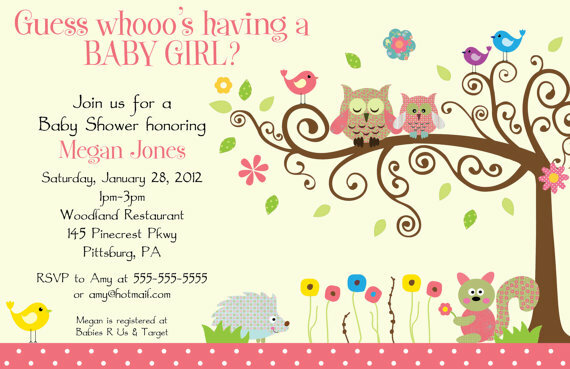 I used these Personalized Whimsey Owl Girl Baby Shower Stickers – Owl & friends on several decorations. Ahhhhh, this is so adorable! I love owls as a baby shower theme! I’m having a little girl so it would be perfect! So cute! I love that its unique and not the typical baby shower! Great job! 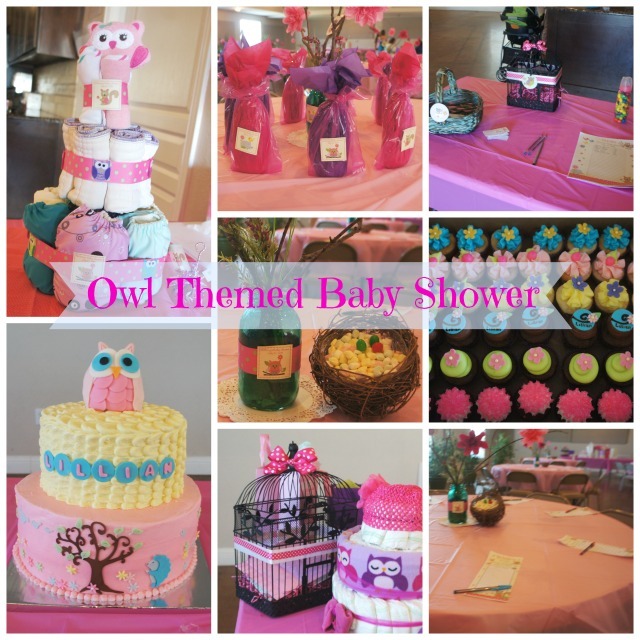 I love the idea of owls for a baby shower – I bet she loved it!! So cute – owls are really becoming the thing and I see why! Super adorable! my gosh! All of this looks so cute :)pictures turn out great.. Thanks for sharing them. Thanks for sharing this owl themed baby shower. I love the details on the cake. I bet it tasted great too! I had two girls and no baby showers 🙁 will do one for my baby sister when she is pregnant.